These easy Halloween treats for kids are perfect for a party or just for a Halloween movie night with your family! 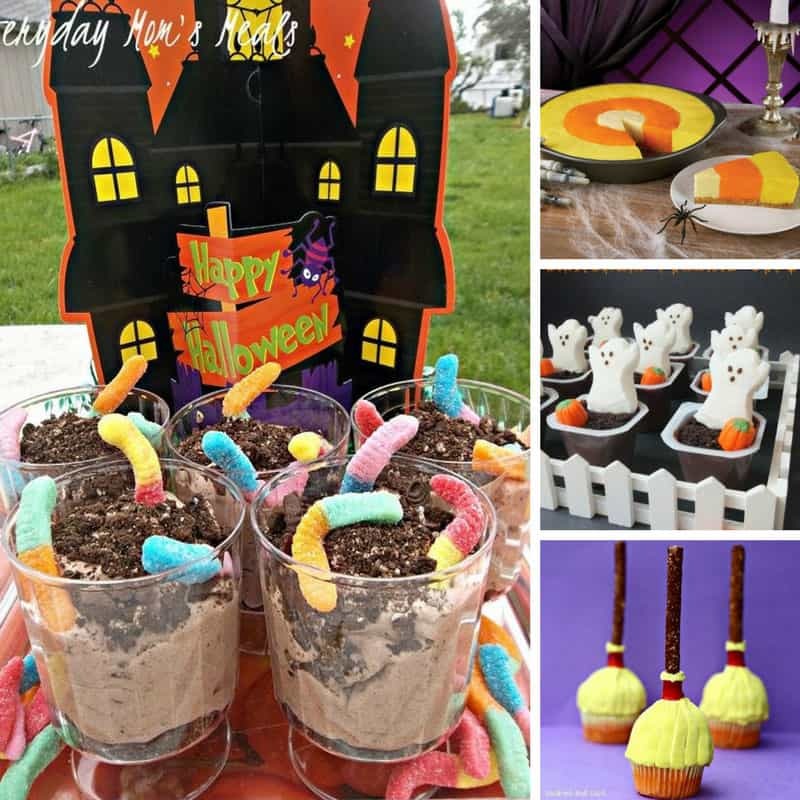 Whether you’re planning a Halloween party or you just want to make some spooky treats for your family to enjoy together you’re in the right place. We’ve rounded up 20 easy Halloween Treats for kids to enjoy and there is a great mix of sweet and savory! And the good news is that most of them just require you to assemble some store bought ingredients! We’ve got everything from Halloween bark and candy corn cheesecake to ghostly cupcakes and even monster eye cupcakes! If you loved these Easy Halloween Treats for kids be sure to check out our other Halloween ideas including these Spooky Spider recipes! 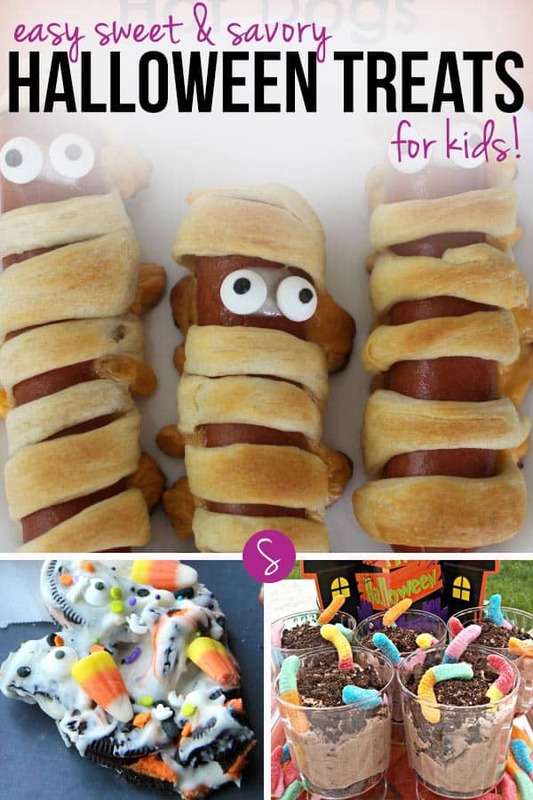 ~Clare – currently pinning to Spooky Halloween Fun and Recipes. Click here to follow our Spooky Halloween Fun board over on Pinterest.